1. For my readers who may not be familiar, what is Voodoo? Voodoo is a family of spiritual and magical practices which draw inspiration from the religions of Dahomey – an area comprising modern-day Benin and parts of Togo. Both in Africa and in the African Diaspora, they have incorporated many other traditions as well: there is a strong influence from Kongo and Bantu (central/southern African) and Yorubaland (modern-day Nigeria), combined with a large helping of Freemasonry and Roman Catholicism. Among the traditions which arise from this root are Vodu Dominicano and Vodu Cubano (Cuban and Dominican Vodou), Haitian Vodou, Beninois Vodun, and New Orleans Voodoo. 2. What drew you to Voodoo? In 1994 I encountered a spirit who identified himself as “Legba” and who told me I was going to become an initiate in Haitian Vodou. At that time Vodou was not really accessible to non-Haitians living in the US, and so I was skeptical. Then, in 1999, as Vodou was becoming more popular, Legba showed up again and told me it was time for me to travel to Haiti. I informed him that this would be impossible since I had a job and a long-term girlfriend. Within a few days my boss died and the law firm closed. I came home to tell my girlfriend that, only to discover she was moving out and moving in with a guy she met at her job. My path thus cleared, I was able to travel to Haiti and get a lave tet from Danise David of Cyvadier: in 2003 I was initiated by Edeline St. Amand (Mambo Azan Taye) and Hugue Pierre (Houngan Si Gan Temps) in Société la Belle Venus #2 of Jacmel, Haiti and Brooklyn, New York as Houngan Si Pwen Coquille du Mer. And so my journey to Gineh began. 3. How does the Voodoo of New Orleans differ from Haitian and other schools of Voodoo? Much modern day New Orleans Voodoo begins with Charles Massicot Gandolfo, proprietor of the New Orleans Voodoo Museum. Inspired by Robert Tallant’s 1940s work on New Orleans folklore and religion (Gumbo Ya-Ya, Voodoo in New Orleans and The Voodoo Queen: a Biography of Marie Laveau), Gandolfo’s Voodoo Museum aimed at the tourist trade: he hired practitioners of Santeria, Palo Mayombe and other African Diaspora traditions as well as initiates in Haitian Vodou to work for him. He also, in the best New Orleans tradition, was never one to let the facts get in the way of a good story. As a result, many people complain that New Orleans Voodoo is a creation for tourists and doesn’t have authentic “roots.” But New Orleans rootworkers have always done a lot of business aimed at the tourist trade – the Crescent City has always been a tourist town, and people came to get mojo hands, gris-gris bags and other spells designed to bring back lovers and ensure gambling luck. I’d even argue that this only serves to make New Orleans Voodoo an authentically American spiritual tradition: America has never been good about keeping business and religion separate. A religion which began as a money-making venture aimed at the tourists, but which went on to become a serious and even somewhat respectable spiritual tradition – how American is that?! 4. 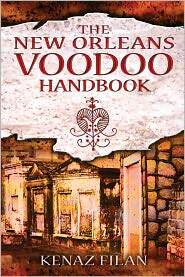 Your latest book, “The New Orleans Voodoo Handbook”, contains a whole lot of information about New Orleans aside from its Voodoo. The history, the music, and the food all feature prominently. How much influence did these factors have on what is considered New Orleans Voodoo today? Blues music can be traced back to the Griots of Mali; gris-gris bags come from the “gerrygerrys” carried by the Mande slaves who were brought to New Orleans Voodoo is a product of its culture – or more precisely, of a unique blending of cultures. 5. New Orleans in the past and present has been the home to an amazing cast of characters. Who are a few of your favorite New Orleans people and why? I am very impressed by Sallie Ann Glassman and Priestess Miriam Chamani. Both are strong, intelligent independent women who heard the Crescent City’s call and answered it. (Sallie Ann is from Indiana, while Priestess Miriam is from Chicago). Both have added new strains of magic to the local practice – Sallie Ann is strongly influenced by Thelema, while Miriam learned Belizean folk magic from her late husband. And both have given back a great deal to the community. Fred “Chicken Man” Staten was an… impressive… fellow. Long before Ozzy Osbourne did his dove-decapitating trick, Chicken Man made a name for himself biting the heads off chickens. Yet beneath his sideshow geek exterior was a sensitive and tender-hearted fellow (save where chickens were concerned, I guess) who regularly offered aid and counsel to lovelorn tourists and to kids growing up on the Crescent City’s mean streets. He was scorned by many as a “mere showman” – but they forgot that Marie Laveau held dances for bored locals! As far as New Orleans writers go, my all-time favorite is John Kennedy Toole. Confederacy of Dunces is far and away the greatest book about New Orleans and its ever-changing cast of characters. Ignatius J. Reilly, the book’s protagonist, is one of the greatest literary creations since Don Quixote. 6. The book you wrote with Raven Kaldera, “Drawing Down the Spirits: The Traditions and Techniques of Spirit Possession” features a lot of personal experiences. Did you two ever discuss how much of your own lives you were willing to share? That is always an issue with me. I’m by nature a private and introverted person: I would rather write about facts, figures and events than share my deepest feelings with the world. Yet in “Drawing Down the Spirits” we found ourselves describing our experiences and providing a lot of sometimes unflattering personal information. 7. What do you feel is the biggest misconception about Voodoo? Would you like to take a moment here to clear it up? Flesh-eating zombies come from George Romero, not Haitian Vodou. In Haiti a zombie is typically someone who has been “zombified” through drugs and ritual and who works as a manual laborer. I’ve also seen the term used to describe the spirit of a dead person who is called upon to do magical work I love Night of the Living Dead as much as the next guy – but it’s not Wade Davis’s Serpent and the Rainbow. (And while we’re on the topic, Davis’s book is fabulous but the Wes Craven movie it “inspired” is truly awful – Wes should have stuck to Elm Street and stayed away from Haiti). Perhaps my biggest concern is the idea that you have to be initiated in Vodou to serve the lwa. This started when one notorious online personality decided to make a career out of selling Vodou Initiation Tours. The fact is that most people do not need the responsibilities that come with initiation to the Vodou priesthood, and they certainly don’t need to spend thousands of dollars to light a candle for the spirits. The Priesthood should be the culmination of one’s service to the lwa and entry into the next level, not the beginning. 8. Jambalaya, pralines, or beignets? It depends. I don’t generally have that much of a sweet tooth, but I make an exception for pralines. Jambalaya is a rib-sticking bowl of pure nutritional goodness, depending on who is cooking it and what they threw in today’s batch. And beignets are the perfect accompaniment to one of the Big Easy’s greatest specialties – coffee with chicory. 9. What other projects are you working on that my readers can be on the look out for? I’m working on a follow-up to “Drawing Down the Spirits” with Raven Kaldera. This is tentatively titled “Talking with the Spirits: a Guide to Personal Gnosis”. After that I’m hoping to follow up “Power of the Poppy” with a guide to stimulants in historical and contemporary culture – that book has the working title: “Speed: 4,000 years of Life in the Fast Lane”. And after that who knows: inspiration strikes when and where it will and we never know where it will take us. What subject(s) would you like to see me cover next? Writing is a lonely business: it’s hard to determine what your audience wants and easy to take it personally when your work gets a less than enthusiastic reception. I’m always interested in hearing what people want to read and writing something that meets their needs. I’m thrilled to hear you’re doing a follow up to “Drawing Down the Spirits” with Raven Kaldera and I’m very interested in the book about stimulants that you’re working on too! I love the historical context that you give to the subject matter of all or your books, which means that if you find something interesting enough to write about it, odds are very good that I’m going to want to read it! Kenaz Filan is the author of six books through Inner Traditions/Park Street Press, the most recent being “The New Orleans Voodoo Handbook”. 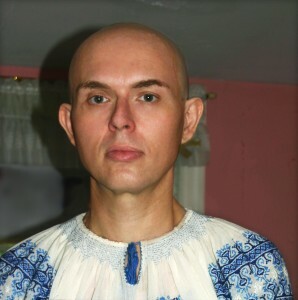 The former managing editor of “newWitch” and an initiated Houngan Si Pwen in Haitian Vodou, Filan has written about Haitian Vodou, trance possession and the shamanic and medicinal uses of poppies. Filan has also published essays in various magazines, including “Renaissance” and “Mysteries” and is a regular contributor to “Witches and Pagans”. You can learn more at http://www.kenazfilan.com and http://kenazfilan.blogspot.com.